Gillette Stadium in Massachusetts — home of New England Revolution and New England Patriots — will be filled to capacity this weekend for a competitive 4×4 football tournament. Senior members of CP Athletic Development Academy [CPAD] will be amongst the participants, combining their talents with US partner organization Sidekick Academy who will be hosting the Bermuda contingent. In addition to the fast paced 4×4 tournament featuring 20 minute games without goalkeepers, CPAD members will be hosted for presentations, lunch and campus tours in the Boston region. “We appreciate every one of our members but there is a special bond with our senior members who have a higher level of independence and the freedom to choose their activities” states President Peter Rickards. “Over the weekend they will showcase their skills in a professional arena and stimulate their interest in further education. 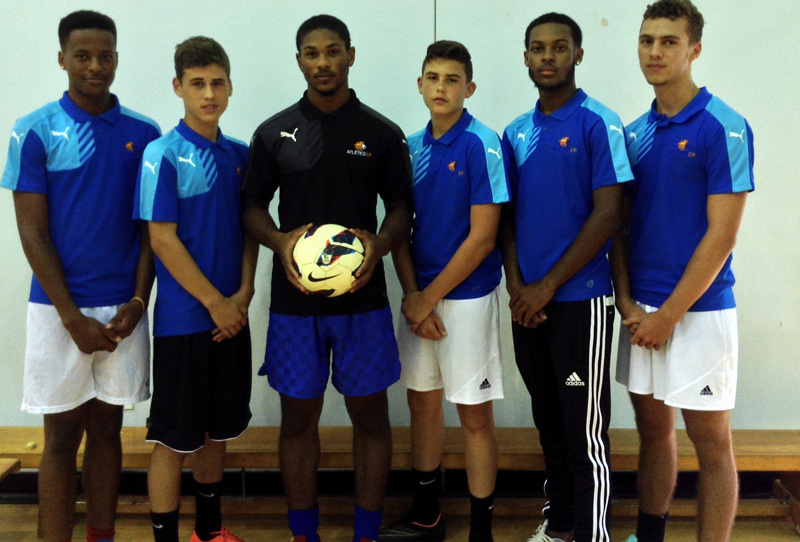 Combining CPAD members with players from Sidekick Academy will demand a higher level of teamwork. In addition Sidekick Academy has arranged for the Bermuda players to been seen by 16 college coaches as well as preparatory schools and professional scouts from the New England area. CPAD’s ultimate goal is to guide their members on to higher education, creating opportunities for scholarships in the process. In the current economic environment, corporate funding is more difficult to secure. As a result CPAD has increased the number of alliances with overseas organizations to create direct exposure to college entrance directors. Tremendous opportunity! Good luck players!